Welcome to space group (Omura, Yamakawa, Shinohara Lab.）homepage! SPACE GROUP is researching on space science and technology in order to use space humanosphere more actively in safe and secure. 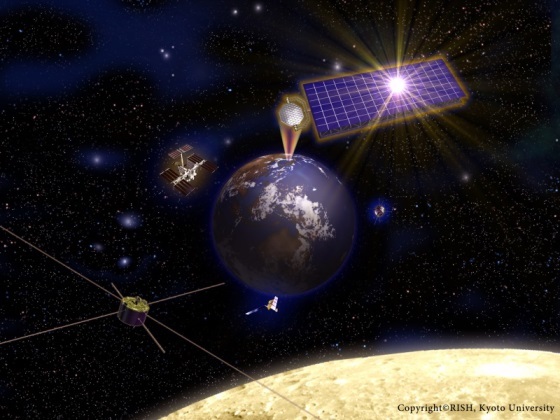 The main research targets of our group are computer simulations of space physics, satellite observation of space emvironment, and solar power satellite for sustainable energy. 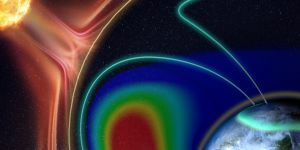 It is important to understand the electromagnetic environment of space properly. We always discuss these topics and deepen the understanding of space humanosphere as a whole. 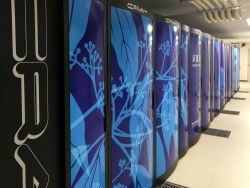 Omura laboratory are researching on space science using computer simulation. Simulation is a new way to study electromagnetic phenomena in space, which are non-linear processes by charged particles and waves. Describing space environment is important in order to predict the space climate change. Space weather forecast is fundamental technology for utilizing space as humanosphere in safe and secure. Yamakawa laboratory are studying on space systems for measurement and utilization of space environment from the perspective of both science and engineering. Research field has over a wide range; elecrtonics, radio waves engineering, space systems engineering, orbit dynamics, and space plasma physics. This lab is involved in both Japan and overseas-based space missions with JAXA, NASA, ESA, and many scientists. 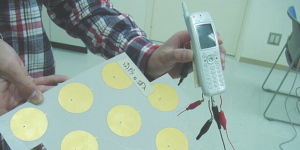 Shinohara laboratory are focusing on research of solar power satellite, which is solar cells in space and sends power to the ground by microwave power transmission. This has been attracting attention as one of the sustainable energy source for future. This lab is also researching on microwave power transmission, which is fundamental technology for solar power satellite, and microwave heating applications. "Computer Experiment" is one of powerful ways of studying nonlinear wave-particle interactions in space plasmas and electromagnetic environments in space. It is meant to reproduce the space plasma dynamics process in the memory of the computer, and make a bridge between observations and theory. "Satellite observation" is important to the understanding of the electromagnetic environment of space. We are developing technologies for satellite observation of next generation, such as ultra-small space plasma wave receiver and space propulsion system using space environments. "Microwave power transmission" is the new application technology of radio waves, which are used mainly as a way of communication. This is wireless power transmission of long distance and essential technology of solar power satellite. More Infomation about solar power satellite is here. 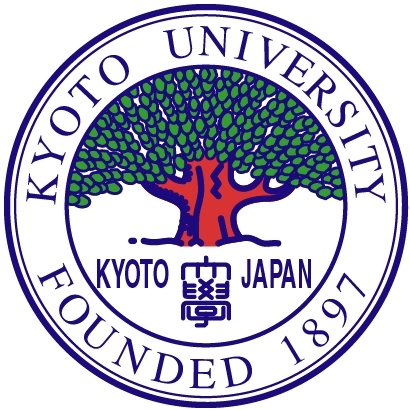 Kyoto Universicy. All rights reserved.